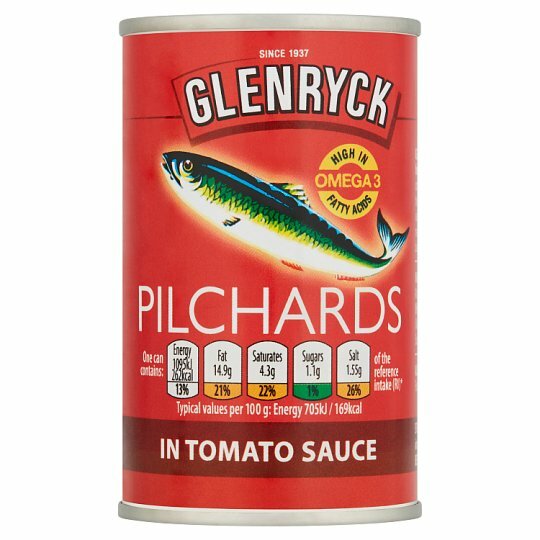 Atlantic Glenryck Pilchards are of the finest quality. Eating Omega-3 fatty acids (3 g per week), as part of a healthy lifestyle, helps maintain heart health. "Omega-3 fatty acids naturally found in Glenryck Pilchards add to the dietary value of a good, hearty meal."